COPENHAGEN, Dec 15 2009 (IPS) - Honduras has been hit harder by extreme weather events than almost any other country over the last 18 years, says a study of weather-related losses, released here as the climate summit continues this week. Around the world, storms, floods and heat waves have resulted in 1.7 trillion dollars in losses and 600,000 deaths, the Global Climate Risk Index 2010 reported. On the same day, the World Meteorological Organisation announced in Copenhagen that the decade 2000-2009 is very likely to be the warmest since records began in 1850. India, northern China and Australia saw extreme heat waves this year. Warm weather was also more frequent and intense in southern South America in 2009, according to the WMO report. “Our analyses show that, in particular, poor countries are severely affected” by extreme weather events, said Sven Harmeling, author of the Index at Germanwatch, a non-governmental organisation based in Germany that has promoted global equity and the preservation of livelihoods since 1991. Honduras, Bangladesh and Myanmar are the three countries suffering the highest combination of deaths and economic losses in the period 1990-2008, the Index found. "I Hope We Are Civilized When Climate Disaster Hits"
This will only get worse in the future as climate change intensifies storms, floods, droughts and heat waves, said Harmeling in a press release. For thousands of years, carbon concentrations in the atmosphere averaged 260 parts per million (ppm), but over the last 100 years they have risen to 387 ppm, which means more of the sun’s energy is captured, intensifying the natural greenhouse effect. That extra energy is increasing global temperatures and producing more record-setting extreme weather events, scientists say. In this context, it is crucial that the 15th Conference of Parties (COP-15) to the United Nations Framework Convention on Climate Change, under way in Copenhagen (Dec. 7-18) provide predictable, long-term funding to help vulnerable countries like Honduras adapt, Christoph Bals, Germanwatch’s political director, told Tierramérica. “It’s important for negotiators here to understand that the 100 poorest countries in the world are responsible for less than five percent of emissions, but are the most affected,” he said. The Index is also a reflection of the effects on different countries in the same region, allowing governments to see how and what their neighbours are doing, and to share information on preparedness. One of the surprises in the report is that the United States does poorly, mainly in terms of deaths from extreme events like hurricanes. “It is almost entirely the poorest people in the U.S. who are affected,” said Bals. The Index is based on data made available by the NatCatSERVICE database of Munich Re, one of the largest global insurance companies. This is a measure of the direct effects of extreme weather events in terms of impacts on infrastructure and number of deaths. One of the major shortcomings of the Index is that it does not capture slower, long-term impacts like prolonged dry periods, desertification or loss of water accessibility resulting from disappearing glaciers – phenomena that lead to significant declines in food production and increase in diseases. As a result, no African country makes the top 10 most vulnerable on this list. The Index does not paint an accurate picture of Africa’s vulnerability to climate change, says Saleemul Huq, an adaptation expert from the London-based Institute for Environment and Development, and a lead author of adaptation reports from the Intergovernmental Panel on Climate Change (IPCC). Africa “can’t assess the impacts on the economy or its own livelihoods; there simply isn’t the data to do that,” Huq told Tierramérica. “The Index is based on past data and is thus not a linear projection of future climate impacts,” stated Gordon McBean, of the Institute for Catastrophic Loss Reduction at the University of Western Ontario in Canada. “It needs to be clear that it is a climate change extreme events risk index – not a comprehensive climate change risk index,” McBean told Tierramérica in an email interview. 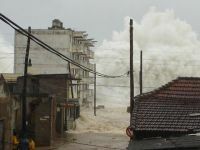 Assessments of vulnerability to climate change have taken on new importance now that it looks certain there will be an adaptation fund of at least 10 billion dollars a year to help countries take steps to mitigate the impacts of climate change. But that fund may need to grow to as much as 500 billion dollars a year to provide the needed assistance. Bangladesh has already said that it wants 15 percent of the 10 billion dollars. But deciding how to divide the funds is not a matter of objective science, it is a political decision, said Huq, noting that it will have to be worked out by the G77 (the bloc of developing nations that now totals 130).